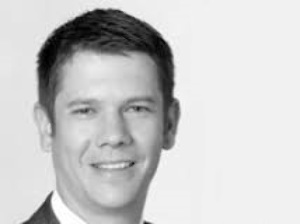 Buying investments as others are bailing out requires courage but should pay off in the long run, says Julian Morrison, of fund manager Allan Gray. He is in New Zealand as part of the Meet the Managers roadshows. Allan Gray has recently started working with advisers in this country. It has an Australia Equity Fund, Australia Balanced Fund and Australia Stable Fund. Morrison said the Australasian equities market was expensive overall but was made up of some equities that were “very, very expensive” and some that were undervalued. He said investors had to be increasingly selective to find value, but there were still a number of opportunities available. A fund manager with a contrarian strategy could time its purchases when stocks were selling for a low price, he said. That could enable investors to overcome the psychological barriers that usually resulted in individuals achieving lower returns over time than the market delivered as a whole. Morrison said it was a matter of picking stocks that were selling below fair value, based on business fundamentals. But investing with a fund manager that was determined to buy cheaply took some fortitude, he said. The best prices would often come with bad news, and would mean turning away from the most popular options as other investors flocked to them. They might look at companies whose share prices had under-performed meaningfully for a length of time, or who were being deserted by others in the industry. While the principles of buying cheaply and going against the market were not difficult to understand, he said, they did not always feel comfortable for investors who were more used to being drawn to companies with rising stock prices or record profits. “If a stock is priced for a great future and it turns out to be great then your investment doesn't go anywhere. If it only turns out to be good, it goes down. That’s what people miss. He said it was also often hard for fund managers to stick the course, because of the pressure to deliver returns on par with others in the market. Morrison said the reception he had had from New Zealand advisers so far had been positive.